The Las Vegas vegan website, Vegans, Baby and the United Kingdom-based charity Veganuary have partnered with area restaurants to offer special vegan dishes and menus through Jan. 31 as part of the “Veganuary” event. A portion of the proceeds from each dish, determined by each restaurant, will be split between the Nevada Society for the Prevention of Cruelty to Animals and the Veganuary organization. January is the month of the vegan in Las Vegas. The Las Vegas vegan website, Vegans, Baby and the United Kingdom-based charity Veganuary have partnered with area restaurants to offer special vegan dishes and menus through Jan. 31 as part of the “Veganuary” event. A portion of the proceeds from each dish, determined by each restaurant, will be split between the Nevada Society for the Prevention of Cruelty to Animals and the Veganuary organization. The goal is encourage people try veganism for the month of January, said Vegans, Baby founder Diana Edelman. By taking the vegan pledge through the Veganuary website, participants can receive daily emails with vegan recipes, meal plans and tips on how to live vegan. Edelman has not eaten meat since 2012 and became vegan in 2015, she said. Her change to vegetarianism occurred when she lived in Chiang Mai, Thailand, and worked for an elephant-rescue organization. “When I was (in Thailand) I was exposed to a lot of horrible things … in regards to animals and the way they were treated,” she said. Edelman wanted to try veganism, but “living abroad is tough and being vegan adds some challenges,” she said. Upon returning to the Las Vegas in 2015, she decided to try veganism. She started Vegans, Baby because there weren’t many resources for vegans in the valley, she said. The website includes a blog, dining guides and deals and coupons to vegetarian and vegan restaurants and businesses. 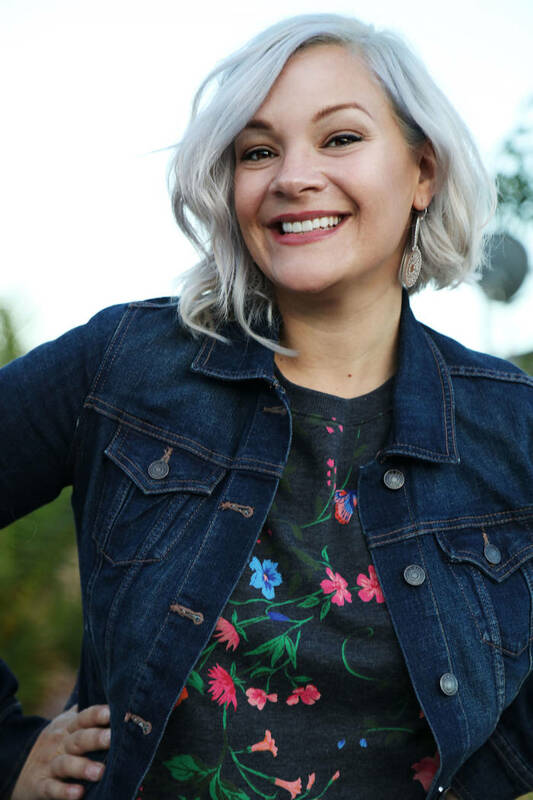 Edelman also consults with restaurants on creating vegan dishes, social media strategies and vegan-friendly events like tastings and launch parties. 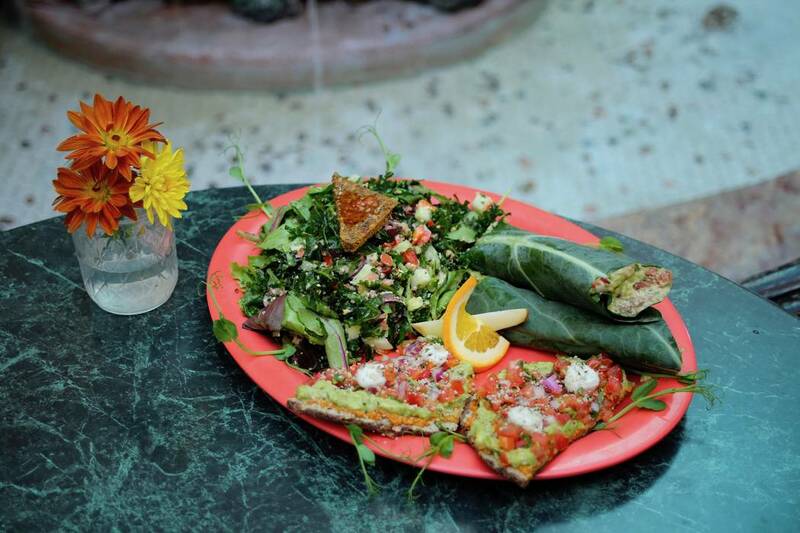 Of the 15-plus restaurants participating in Veganuary, several are in the southwest valley. 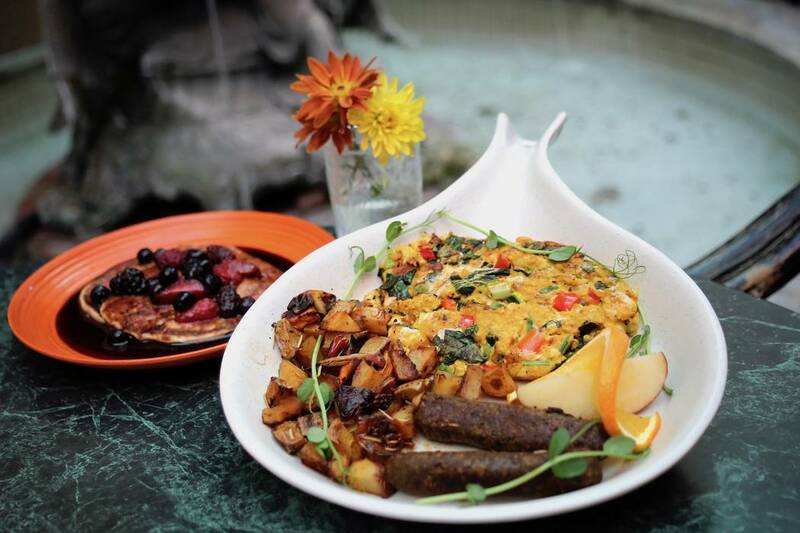 Go Vegan Cafe in Spring Valley offers a create-your-own “Breakfeast” or “Rawfeast” for $15. 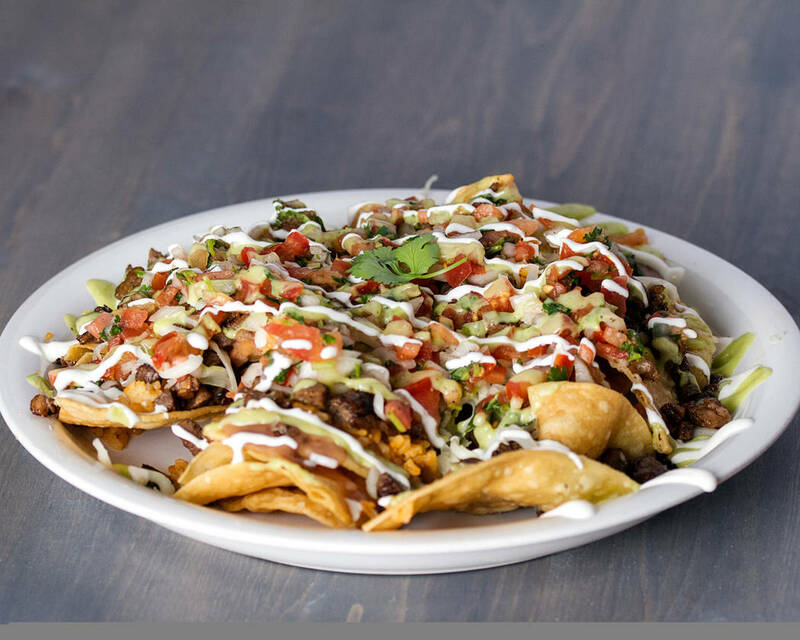 Pancho’s Kitchen on West Charleston Boulevard, which already has a vegan menu, offers loaded nachos, chile relleno and mole enchiladas. 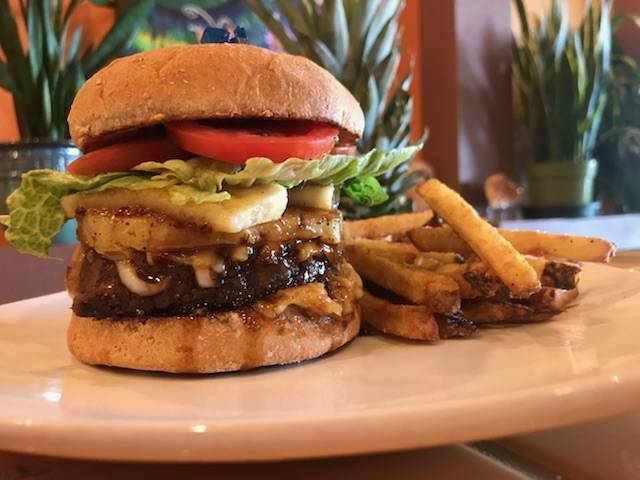 Violette’s Vegan Organic Cafe & Juice Bar on West Desert Inn Road has spicy cauliflower bites, a teriyaki burger and country-fried seitan steak. In the Summerlin area, Panacea, Makers & Finders and Hussong’s Cantina (also at Mandalay Place) also have special menus. A full list with photos is available at bit.ly/2qpcCqL. Jorge Melatti, owner of Veggy Street on South Fort Apache Road, said he was ecstatic to participate in Veganuary. He opened Veggy Street in September as a vegetarian restaurant and recently changed his menu to make it vegan. Melatti, 53, switched to veganism at age 50, when his 14-year-old son began having problems with high blood pressure. Melatti had been considering opening a business and thought about starting a bar with slot machines. But once he and his son had a desire for tasty, healthy food, he thought: Why not open a healthy restaurant with a plant-based menu? Veggy Street offers vegan hot dogs, burgers, falafel and chicken wraps. One of Veggy Street’s Veganuary specials is “Chicken Tacopioca”: vegan blackened chicken, quinoa, vegetables, cheese and yogurt cucumber sauce on a tapioca dough tortilla. Melatti said people in the vegan community look out for each other. Other vegan restaurants have directed business his way when they’re closed, and he does the same for them, he said. Go Vegan Cafe, 5875 S. Rainbow Blvd. Hummus Bowls and Wraps, 10895 S. Eastern Ave.
Panacea, 750 S. Rampart Blvd. Pancho’s Kitchen, 5201 W. Charleston Blvd. Turmeric Flavors of India, 700 Fremont St.
Vegenation, 10075 S. Eastern Ave.
Veggieat Xpress, 390 N. Stephanie St.